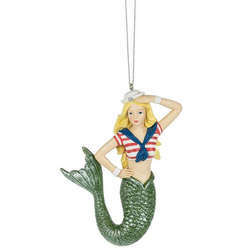 Do you often fantasize about a deep sea nautical adventure? 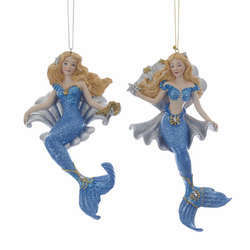 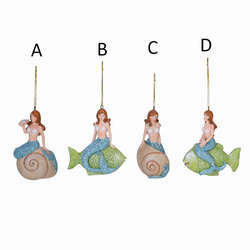 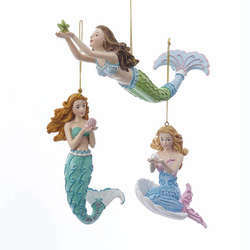 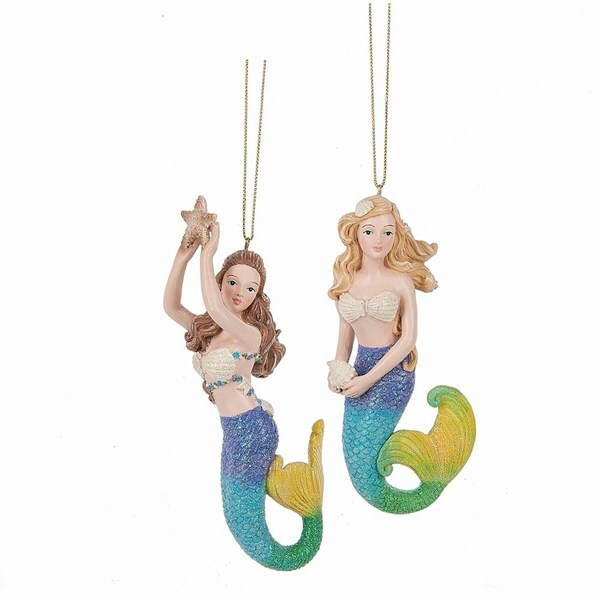 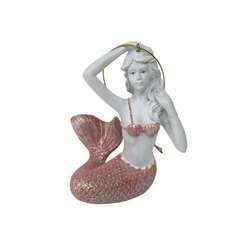 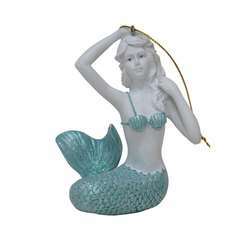 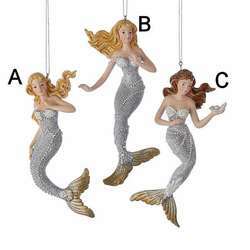 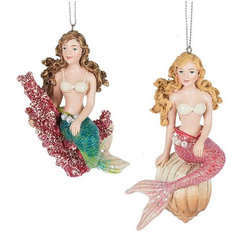 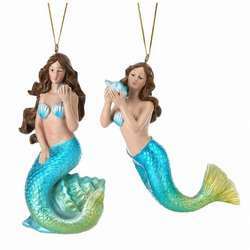 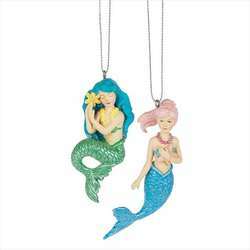 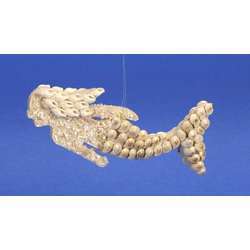 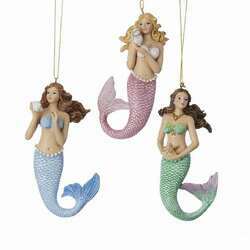 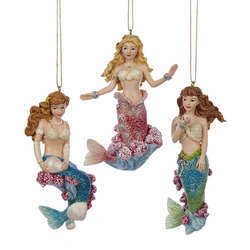 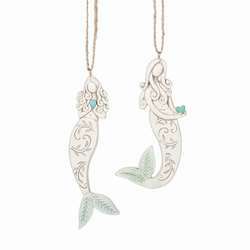 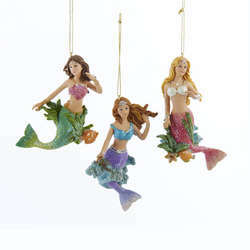 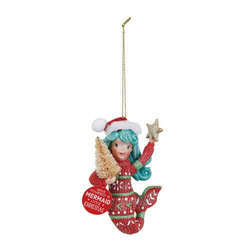 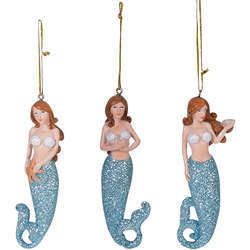 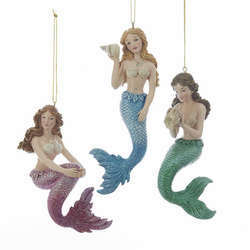 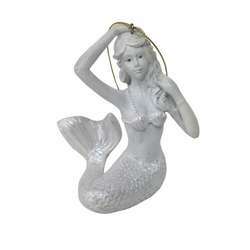 Well those fantasies can become reality with our Brunette/Blonde Mermaid With Starfish/Shell & Multicolor Tail Ornaments! 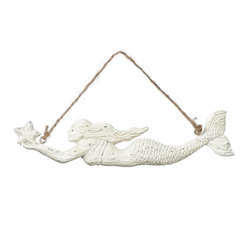 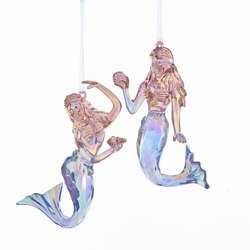 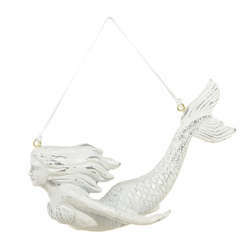 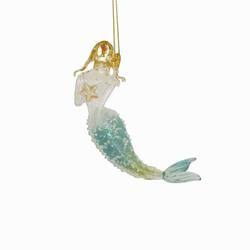 They're crafted from resin, about 5 inches in size, and include a string for hanging.